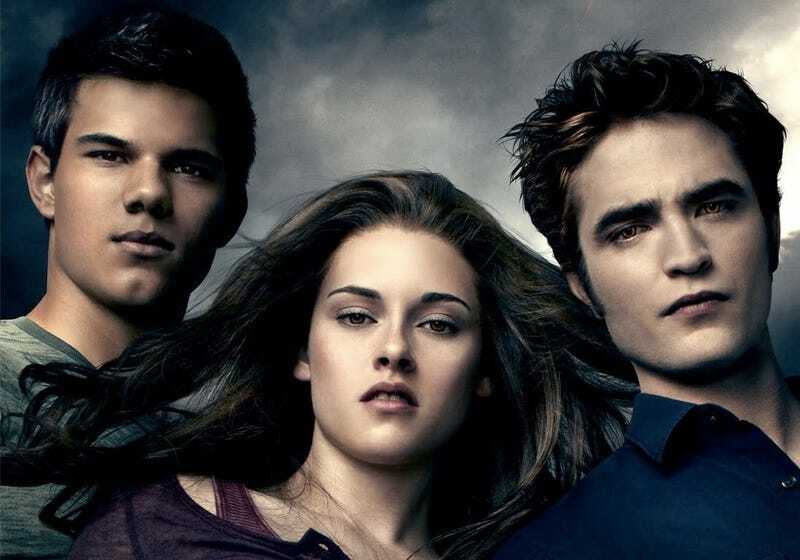 Yes, the Twilight saga is coming back, and — okay, just hear me out. Rather than continue the saga of everyone's favorite shirt-challenged werewolf and sparkly stalker of mopey underage girls, it's going to be five short films and they actually sound kind of promising! Yes, really. "The female voice is something that has become more and more important to me as I've worked in the film industry," said [author Stephanie] Meyer. "I'm honored to be working with Women In Film, Lionsgate, and Facebook on a project dedicated to giving more women a chance to be heard creatively." Assuming that voice won't be a series of emotionless murmurs from a young woman as she stares at the possessive, obsessive, borderline abusive men fighting over her, this seems about the best possible way in which "more Twilight" could happen. Unless, of course, one of the movies is about Chuckesmee, the terrifying Renesmee baby robot that nearly starred in Breaking Dawn Part 2. Then all bets are off.